Nara Town (奈良町) is a historical site which remains many classic buildings since Edo period. Entire area between Kofukuji temple and Genkoji temple is considered as Nara Town and designated as a UNESCO World Heritage Site. 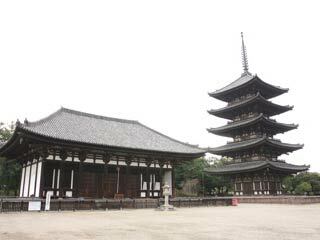 There are also many site which remains since Nara period. There is parking. Unlike other tourist spots, Nara Town has not much gift shops and restaurants. Many of houses are survived from WWII. Therefore, you can enjoy the look of Edo town with classic houses, temples and shrines. History of Nara Town begins since Nara Period. After the capital relocation, Nara Town kept developing under Todaiji Temple, Kasuga Shrine, and Kofukuji Temple. Around the Edo Period, the market of Nara Town was extended with brushes, Futon, Katana, Sake, and Soy Sauce.